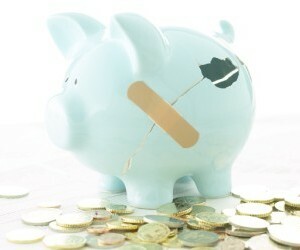 A Sydney-based law firm has claimed that ASIC’s newly released SMSF guidance is “deeply ill-informed”. Last week, the financial regulator released two information sheets aimed at improving the quality of advice provided by advisers on SMSFs. The information sheets – which specify the types of risks and costs that an adviser should discuss with clients when providing advice on establishing an SMSF – make clear ASIC's view that an SMSF with a starting balance of $200,000 or below is “unlikely to be in the client’s best interests”. The regulator warns that advice to establish one below that threshold is more likely to be scrutinised. In a statement on their website, the law firm claims there are a number of reasons why the idea of a minimum balance of $200,000 is unnecessary and could harm consumers. “Given the current very strict rules about how much money you can contribute to super, there are certain strategies that are not available via public offer funds that can give a massive boost to long-term retirement income such as LRBAs (limited recourse borrowing arrangements) to buy direct shares and property, even where the starting balance is well under under $200,000 since that is just the deposit,” the statement read. “Only via a SMSF can the client take advantage of certain strategies that are not practically available via a public offer fund, such as the ability to jointly invest in an asset portfolio with a related party … the starting balance again is not relevant. Ha ha, finally some one with brain.